All people want to have a good rest during their long-awaited weekends . But what about cleaning the apartment? After all, there isn’t enough time to do cleaning on weekdays and there is no desire at weekends. It may seem that cleanliness indoors does not demand a lot of time, but it is not true. Sometimes it is necessary to spend a few days for qualitative cleaning. 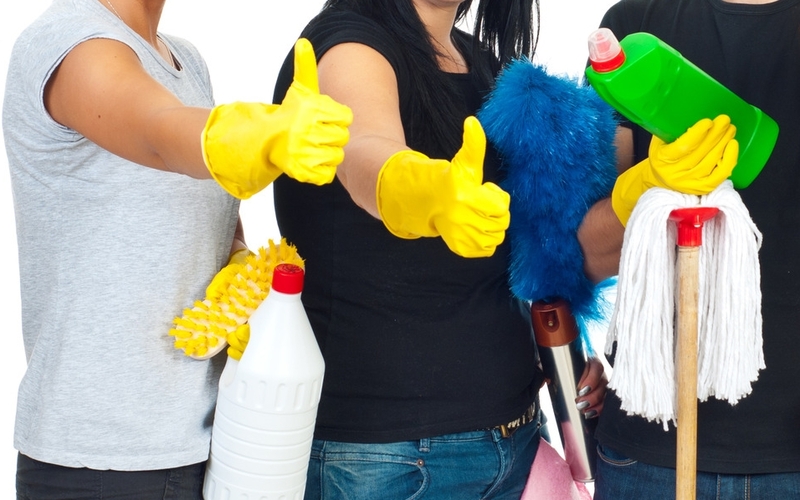 For this reason, if you don’t want to deal with householding chores at your well-deserved weekends and want to devote your free time to more pleasant things, it is worth contacting the cleaning company, which service costs are affordable enough. They will do the house cleaning while owners will have a rest. The experts will clean carpets, kitchen hoods and ventilation lattices quickly and qualitatively, remove dust from the most inaccessible places, wash floors and windows (inside), will be able to get rid of pets’ fur on any surfaces and so on. These services are especially necessary for families with small children, as parents don’t always have enough efforts and time for everyday chores, and the cleanliness is simply necessary for children. After all the accumulating dust may have the negative effect on health. Thanks to cleaning companies, young parents can have a rest or be engaged in doing their own things while professionals will clean their home.